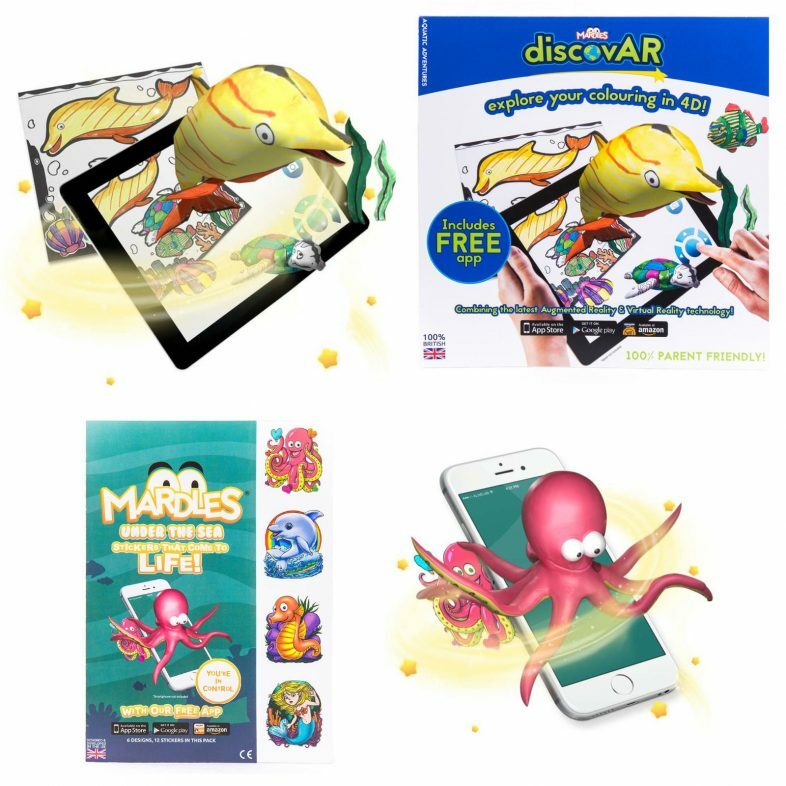 Manufacturer’s Description: Aquatic Adventures 4D Interactive Colouring Book: Bringing colouring to life using our FREE Augmented Reality app, your little one’s imagination and their favourite pens, pencils or crayons. It’s so easy! Colour. Scan. Interact. 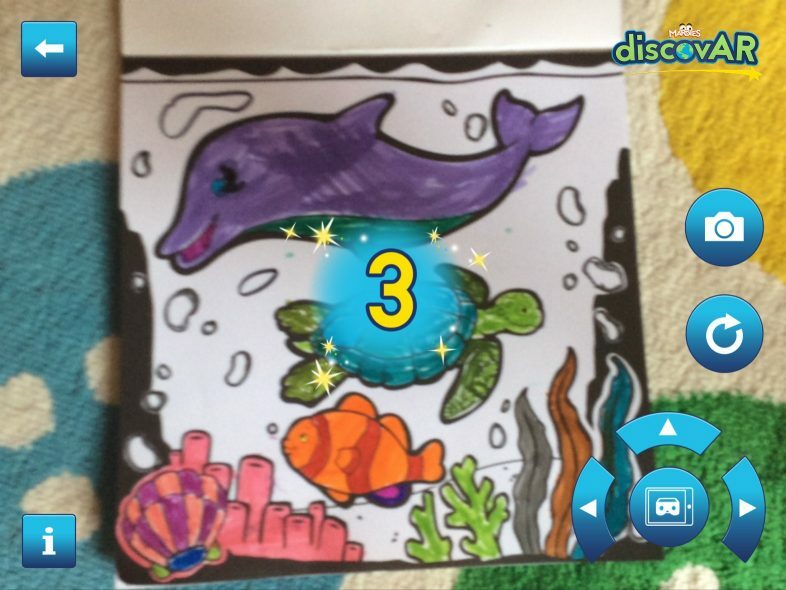 This book features 15 fun 4D interactive colouring pages including dolphins, whales, shipwrecks and a whole lot more. 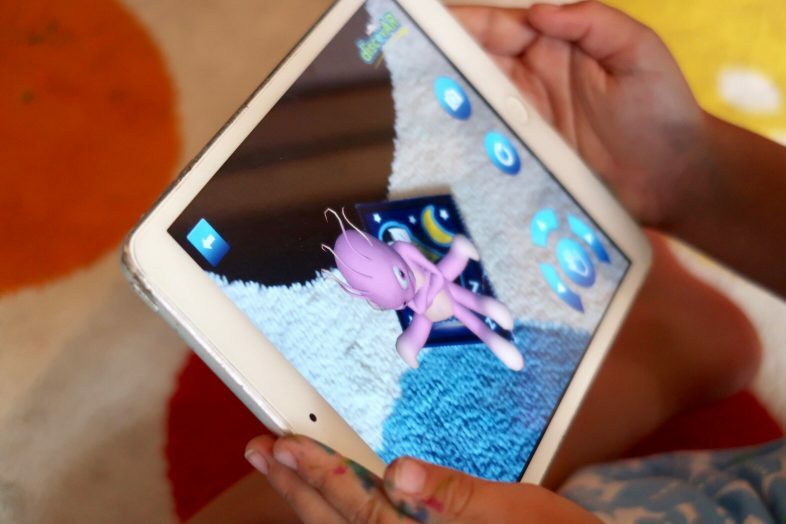 For even more fun, flip into Virtual Reality mode where your little ones can fully immerse in their own creation. 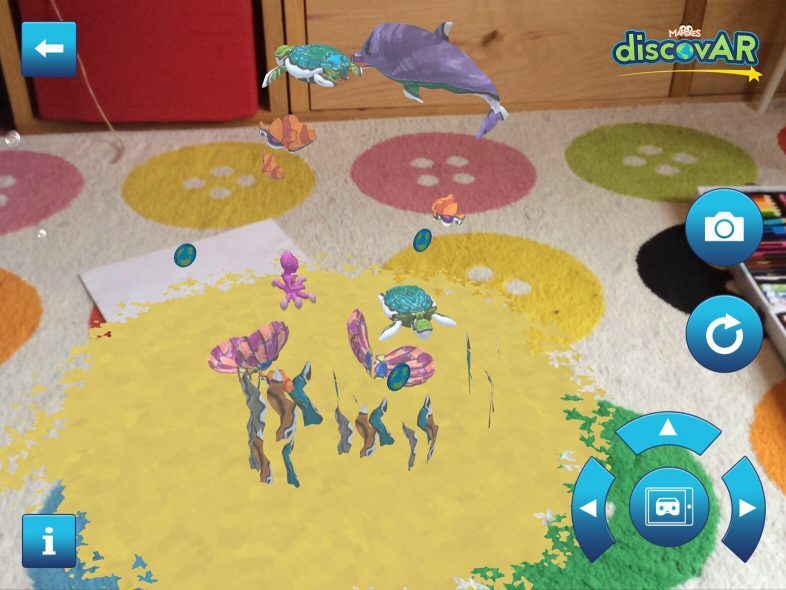 Under The Sea Interactive 4D Stickers (pack of 12): Bring playtime to life using our FREE Augmented Reality app and these magical 4D interactive stickers. 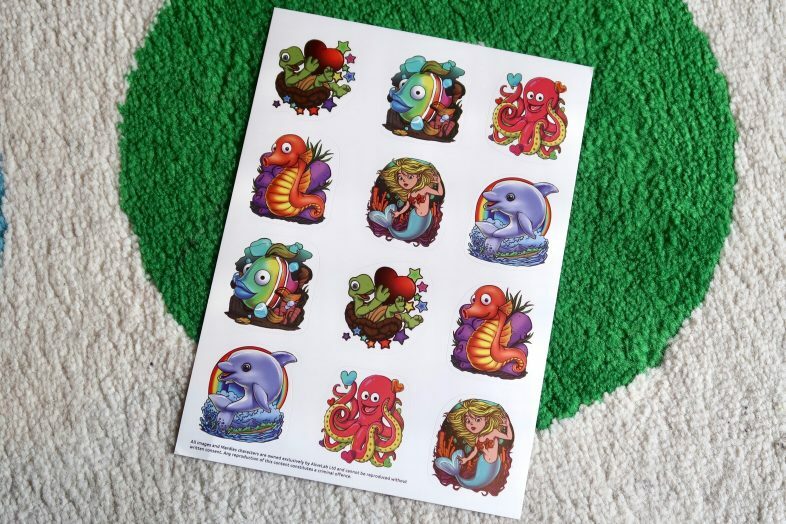 A real taste of the underwater, from mermaids to seahorses, you may even spot a naughty Octopus! It’s so easy! Stick. Scan. Interact. 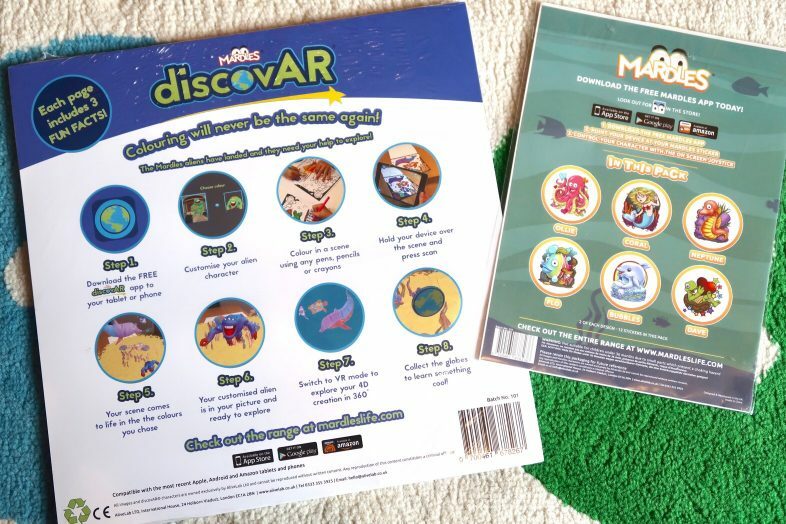 Review: We discovered Mardles Augmented Reality stickers earlier this year, and had some fun painting rocks, adding Mardles AR stickers, and hiding them in our local park for people to find. The girls really enjoyed that so when we were offered the chance to try out their interactive colouring book as well as a set of stickers I jumped at the chance – especially since it was for their Aquatic Adventures book and Under The Sea stickers, as Georgie is a huge fan of sea creatures. 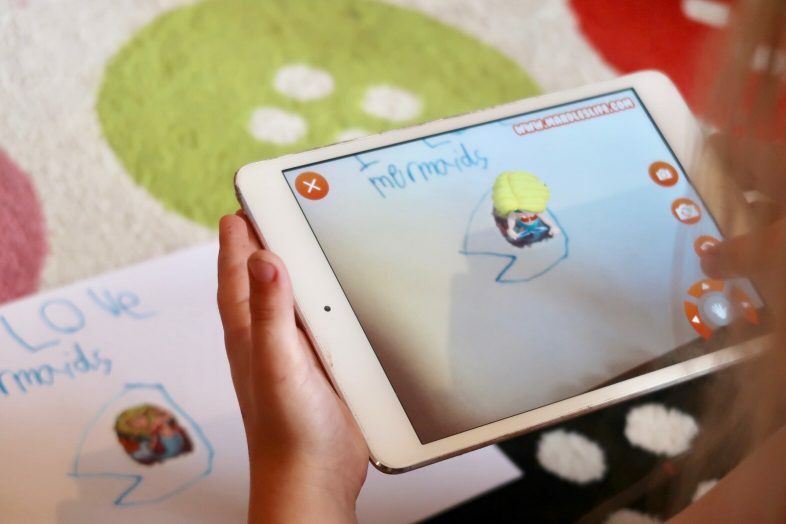 Mardles products use Augmented Reality technology to come to life on your smartphone or tablet. 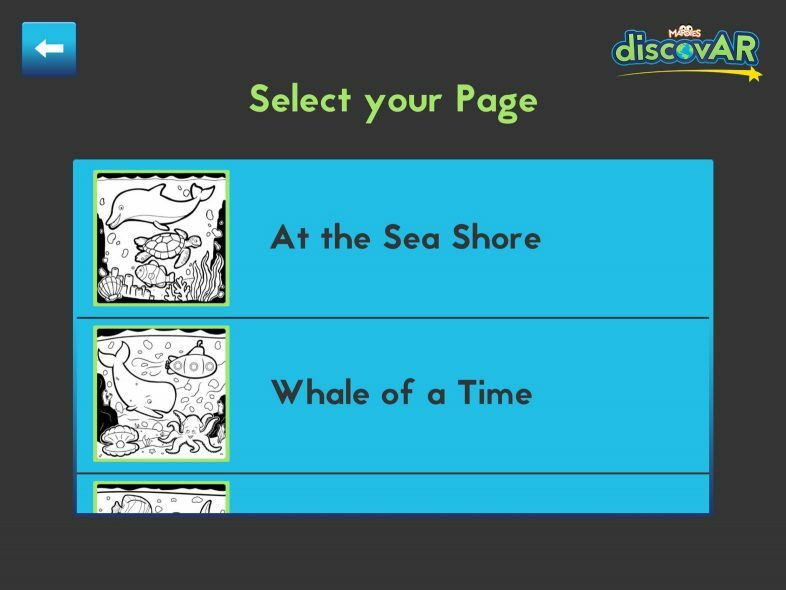 With free apps available for both Android and iOS, the pages of the colouring book and creatures on the stickers jump out of the paper and onto your screen, moving around and complete with sound effects. 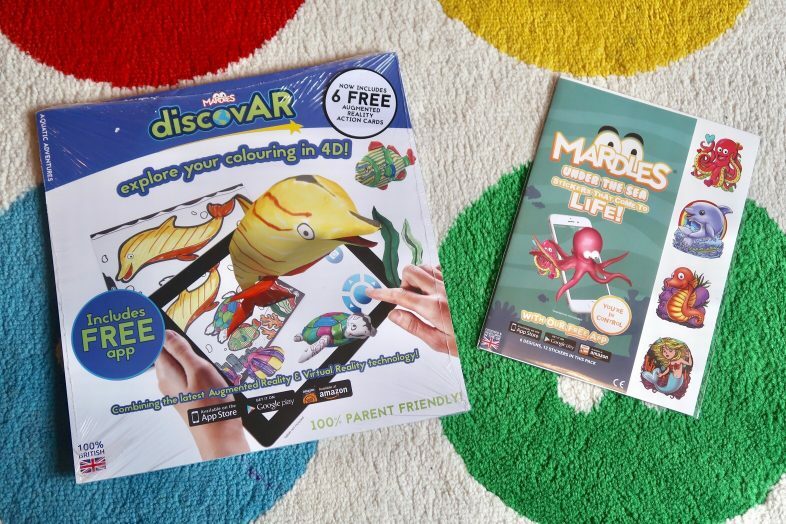 The DiscovAR Colouring Book has 15 pages, with three sets of 5 different illustrations to colour in and see pop out from the page onto your screen. 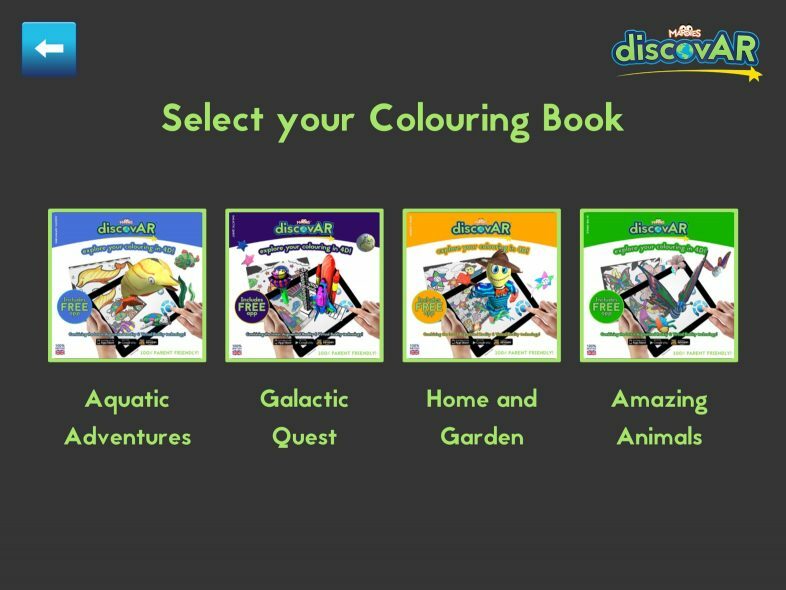 With the DiscovAR app you create an alien character, select the colouring book mode, choose your book and page, and then hold your device over the coloured in page. When the scene comes to life your alien is in the picture too, ready to explore. You can switch to VR mode, too, which lets you move your device around and explore your colourful creation in 360°. Each page includes three facts about the scene, which show up as spinning discs with the DiscovAR globe icon. You can ‘read’ these by steering your alien into them in the normal AR mode, or by moving into them in VR mode. 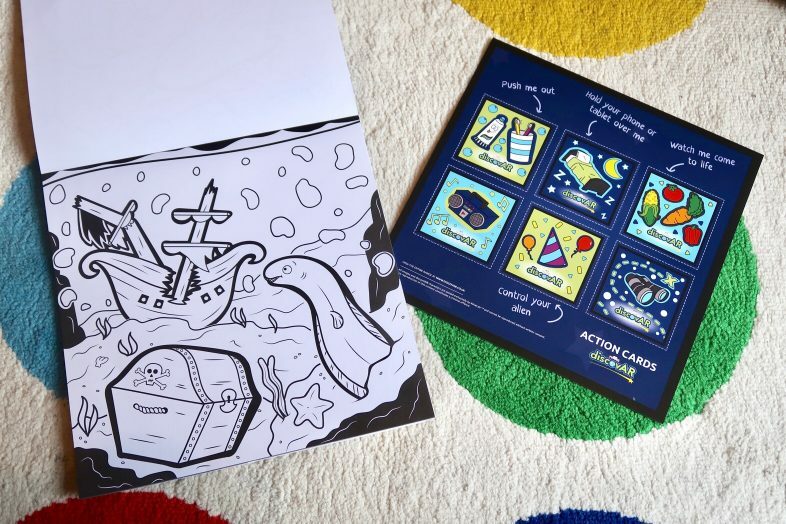 Every colouring book comes with 6 free ‘action cards’ too, which are also used with the DiscovAR app. These make your aliens do different things, such as fall asleep when you use the bedtime card. The girls had great fun with both the colouring book and the action cards, and thought the colouring page they worked on together coming to life was brilliant! As for the stickers, these are so fun too. 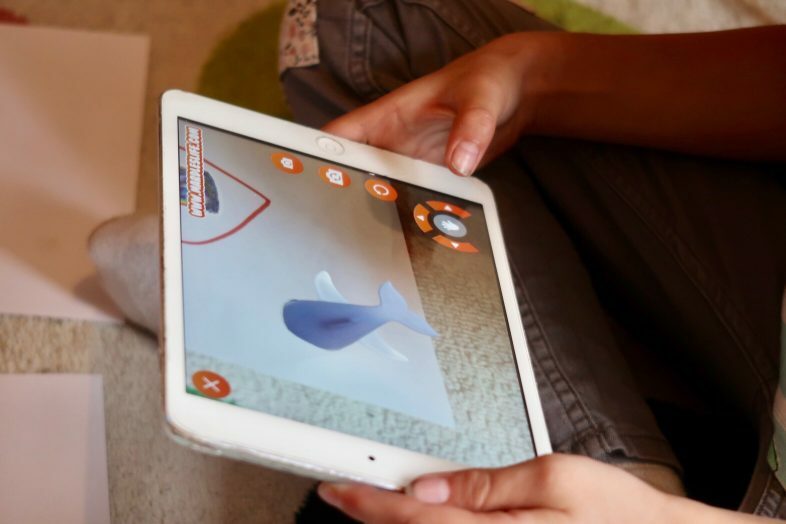 Using the free Mardles app, the character on the sticker appears on your screen with Augmented Reality technology, and you can steer it around using the controls on the screen. Lydia loves trying to get them to move onto her hand. 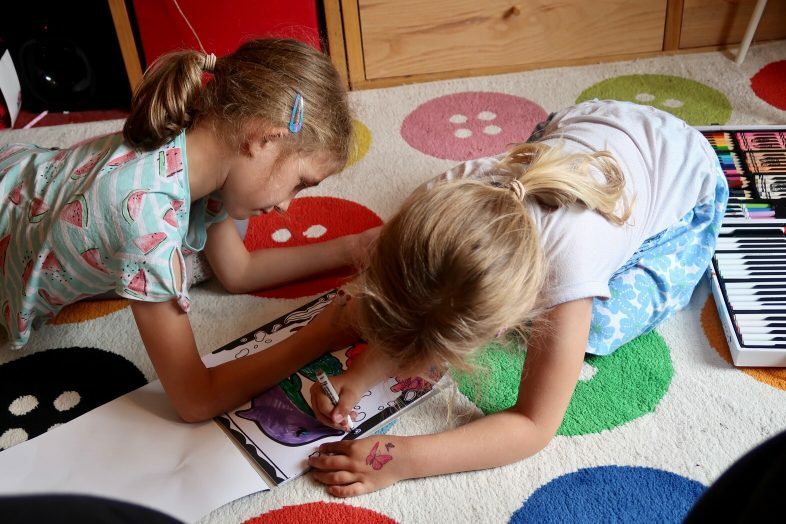 The girls drew a picture each with a sticker at the centre and then made them come to life and move around the paper – I can see them creating whole scenes with the stickers in and them making them come alive on my phone or their iPad. We give these Mardles products 5 stars. They work brilliantly and they are really clever and fun.